The oldest example of wine-making yet discovered has been documented as coming from sites in modern-day Georgia. 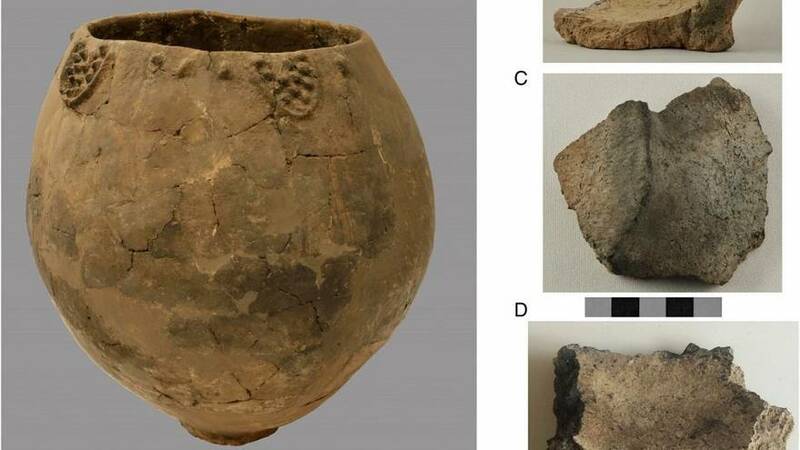 Researchers found traces of the drink in pottery jars thought to date from between 6,000 and 5,800BC. Climatic evidence supports the probability that grapes grew in the area and it is likely the pots were used both to ferment, age and serve an alcoholic drink produced by crushing together the fruit and stems, according to researchers from the Georgian National Museum and international universities. Some of the jars, themselves among the oldest discovered in Europe, were decorated with images of grapes, the archeologists wrote in the journal Proceedings of the National Academy of Sciences . They were found in sites around 50km south of the Georgian capital Tbilisi and believed to belong to a culture that stretched into northern Armenia and western Azerbaijan. The oldest example of wine previously discovered was in the Zagros Mountains in Iran and dated back to around 5,400 BC. The oldest example of an alcoholic drink made using grapes dates from China around 7,000 BC however, it was not like wine as we know it today because it seems to have also included honey, rice and hawthorn fruit.